Virginia Gov. Ralph Northam is poised to implement a new regulation without legislative approval to join 10 other states in a climate change agreement based on restricting carbon dioxide emissions from coal-fired power plants. But lawmakers, policy analysts, and tea party activists in Virginia who oppose what they consider costly regulations of industry are raising questions about the economic and scientific arguments underpinning the proposed rule. They say the Virginia General Assembly should have a straight up-or-down vote on Northam’s plan, in part to ensure that any revenue the Democratic governor raises from “carbon trading” is collected and dispersed in a manner consistent with the state Constitution. The Regional Greenhouse Gas Initiative, or RGGI, is a multistate agreement that currently includes Connecticut, Delaware, Maine, Maryland, Massachusetts, New Hampshire, New York, Rhode Island, and Vermont. In addition to Virginia, New Jersey may rejoin the pact. The public comment period for a draft version of Northam’s proposed regulation ended in April. The Virginia Department of Environmental Quality is expected to introduce a final version in November. The seven-member Air Pollution Control Board then will be responsible for making a decision. Board members, appointed by the governor, operate independently from the Department of Environmental Quality. 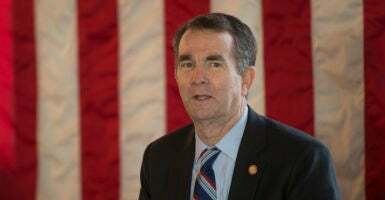 Northam, a physician from the state’s Eastern Shore who previously was a state senator and lieutenant governor, took office in January after being elected governor last November. A board majority may “reject, accept, or modify” the proposed rule as it sees fit, Dowd said. If the board decides in favor of the regulation, he said, it could go into effect by December. The Virginia General Assembly does not go back into session until January, however. With Democrat gains in the state’s November 2017 elections, Republicans have a 51-49 edge in the House of Delegates and a 21-19 margin in the state Senate. Officials of states that entered the Regional Greenhouse Gas Initiative argue that greenhouse gases such as carbon dioxide are responsible for dangerous levels of climate change, also known as global warming. These gases enter the atmosphere during the industrial burning of fossil fuels such as coal, natural gas, and oil. However, a growing number of scientists question theories that link human activity to significant climate change, and instead point to natural forces. New Jersey Gov. Phil Murphy, a Democrat, signed an executive order earlier this year directing his agencies to re-enter RGGI. Murphy’s Republican predecessor, Chris Christie, had withdrawn from the climate change agreement. Participating states are required to impose a “cap and trade” arrangement. Government officials set an upper limit on carbon dioxide emissions from fossil fuel plants. But “allowances” may be traded back and forth among the companies subjected to the caps. The problem with the development in Virginia is that “unelected regulators” have been granted too much authority over major policy decisions that will have significant statewide impact, Craig Rucker, executive director and co-founder of the Committee for a Constructive Tomorrow, told The Daily Signal. The Committee for a Constructive Tomorrow, known as CFACT, is a Washington-based group that supports free market solutions in energy policy. Because the effects of these regulations are not always immediately evident and often materialize over time, I don’t think it’s healthy for our democracy to have this change implemented administratively by individuals who do not have to stand before the voters. We are talking about rising energy costs that will impact future generations and impact Virginia’s ability to compete economically with other states. But Dowd, the state Department of Environmental Quality official, said the Northam administration disagrees with critics who say the governor is making an end-run around the General Assembly to join the multistate climate change pact. We have heard the concerns about [rising energy] costs and our response is that we have taken this into consideration in the economic modeling we have done, and the modeling indicates that the impact to ratepayers is relatively minimal. In fact, the impact to ratepayers should be a little over 1 percent between now and 2030. We think we have constructed a rule with the right approach and that this is the most cost-effective way to control carbon in Virginia. In April, Northam vetoed a bill from Delegate Charles Poindexter, a Republican, that would have prohibited the governor or any state agency, including the Air Pollution Control Board, from entering into RGGI or creating any other cap-and-trade program without legislative approval. In a press statement, Northam explained why he vetoed Poindexter’s bill. The Commonwealth must have all the tools available to combat climate change and protect its residents. These tools include the ability to adopt regulations, and rules and guidance that mitigate the impacts of climate change by reducing carbon pollution in the Commonwealth. The governor and state agencies should not be limited in their ability to protect the environment and in turn, the citizens of the Commonwealth. Virginia residents who oppose Northam’s plan to enter the Regional Greenhouse Gas Initiative were expected to show up in force Saturday for the Virginia Tea Party’s Fall Summit Meeting in Richmond. Randy Randol, who analyzes energy and environmental issues for the Virginia Tea Party, said in a phone interview that the governor already has tacitly acknowledged limits to his authority over finances, and that these limits could affect implementation of RGGI. “As predicted, Northam has requested that he be allowed to spend permit fee collections, confirming that he lacks authority to fully implement the program,” Randol said. Virginia Natural Resources Secretary Matthew Strickler informed a legislative commission earlier this month that Northam would ask the General Assembly “to keep and spend the proceeds of a new electricity carbon tax, rather than find a way to return it to ratepayers,” according to news reports. Strickler estimates that under the Regional Greenhouse Gas Initiative, Virginia utilities would have to purchase carbon credits that would generate $200 million in revenue. Under the cap-and-trade plan, companies buy carbon credits from state governments, typically during “carbon auctions” consistent with RGGI regulations. State governments collect revenue as a result. How this money is collected, distributed, and appropriated remains an open question and a major sticking point. The carbon credits that energy companies would be required to purchase under such a plan would generate between $175 million and $208 million for Virginia government, according to a fiscal note attached to legislation from Democratic lawmakers to authorize a cap-and-trade plan. Lawmakers defeated that plan in a party-line vote. Utilities are immune because they will pass the tax along to the consumers. What the governor is calling a fee is really tax, and there are reasons why he doesn’t want to call it tax. The Virginia Tea Party has opposed every ration and tax and cap-and-tax scheme that has been proposed. There was, for example, a proposal to tax power plant emissions to fund flood mitigation that we strongly opposed. This proposal to move us into RGGI would impact the poorest residents of Virginia the most. Poindexter, the state delegate who pushed the bill requiring the General Assembly to approve any move into RGGI, told The Daily Signal in a phone interview that he opposes the governor’s plan both legally and substantively. Although the Virginia Constitution may give the governor latitude to join RGGI, it doesn’t provide him with the authority to control the appropriation and spending of funds derived from the multistate agreement, Poindexter said. 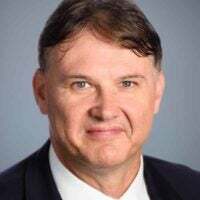 Poindexter, who represents Patrick County and parts of Franklin and Henry counties, also is a member of the state Commission on Energy and Environment. As a matter of policy, Poindexter said, he views the Regional Greenhouse Gas Initiative as detrimental to Virginia’s best interests. He anticipates that it will discourage energy production from inside the state and undermine future job opportunities. Rucker and others at the Committee for a Constructive Tomorrow also challenged the scientific premise underpinning RGGI and similar state-level agreements. They point to updated research that shows natural forces, as opposed to human activity, are primarily responsible for climate change. In the run-up to Saturday’s Virginia Tea Party Summit, another question was on the mind of participants. Since the Environmental Protection Agency under the Trump administration has proposed a rule replacing the Obama administration’s Clean Power Plan with guidelines giving states more flexibility to determine how to address greenhouse gas emissions, isn’t RGGI now superfluous? Why not just embrace the EPA’s proposed Affordable Clean Energy Rule? But Heritage’s Loris said he views the Regional Greenhouse Gas Initiative as a losing proposition for Virginia.